My new fantasy book, The Zi'veyn - Book One of The Devoted Trilogy - is now available on Kindle, Paperback and Kindle Unlimited! Read chapters 1 - 5 for free right here! 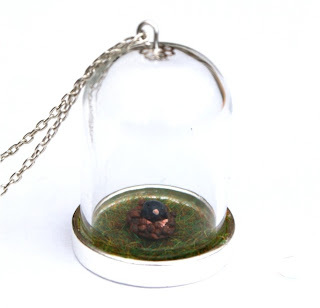 Miniature bell jars were the main cause of these pieces. If it weren't for them, I'd probably have never done them. 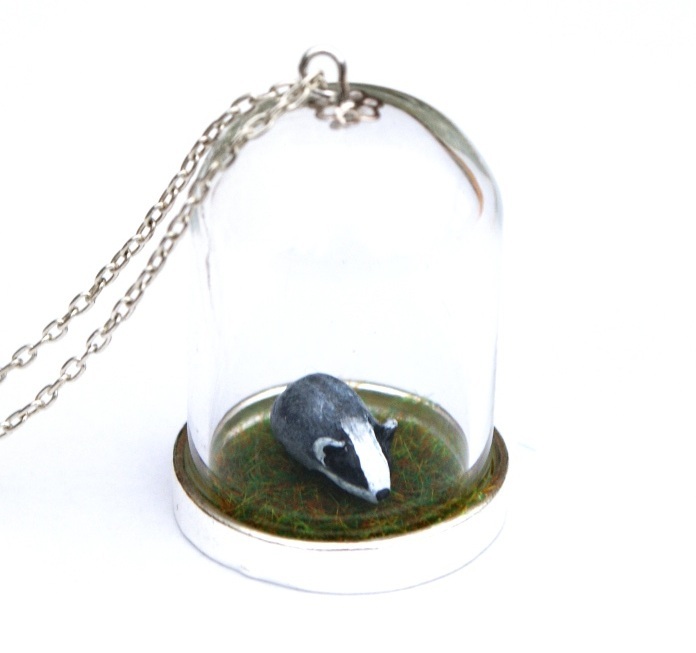 I loved the jars as soon as I saw them in my stockist's website, and I just had to use them, and considering how well my foxes in jars had sold, I figured I was along the right lines. 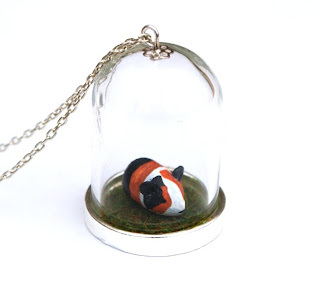 I've expanded the wild animals, and I have also began custom pet portrait necklaces, hobbit houses, and soon there will be another custom portrait of a different kind available! 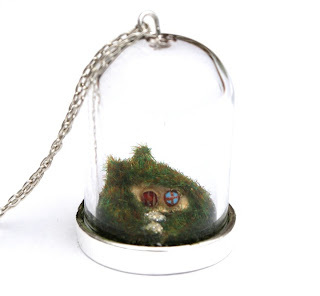 I love how they've turned out - the hobbit houses, especially - and I'm so excited to share them with you all! Not all of the necklaces shown are currently available - some of them will be listed in coming days. 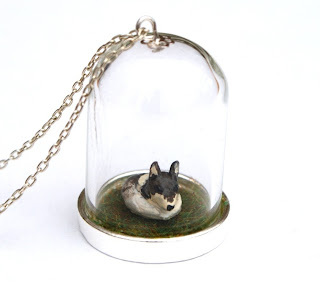 Each bell jar measures 35mm in height, and about 25mm in width. The all come on 16 inch chains. 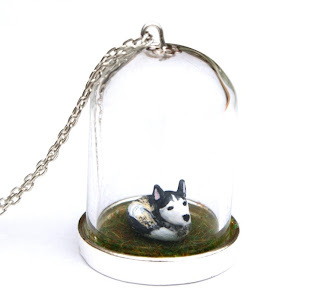 The custom pet portraits can be made of most mammals, but, as the listing states, please contact me first if you have an unusual animal as a pet, so that I can tell you whether or not it will be doable. 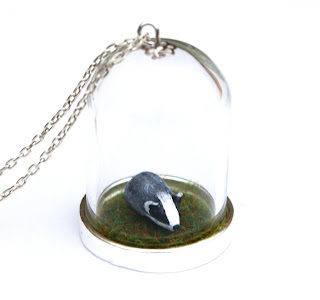 Other wild animals are available that are not shown here, along with other Hobbit Houses, and other items soon to be announced. Once all of the remaining listings are up, I will have 80 listings - I can hardly believe it! When I reach 100, there will likely be a sale, and a giveaway! But keep your eyes open for the announcement of another giveaway first! 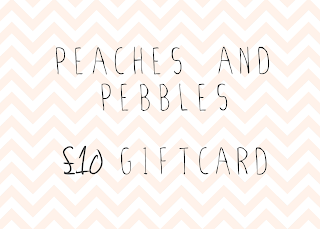 Peaches and Pebbles gift cards are also now available as £10/$15, and £20/$30! I do read every single comment, and I will try to respond where I can. If you have an important question about my blog or my shop, however, then you might be better off contacting me directly by email. Thanks so much for reading my blog! All content © to me unless otherwise stated. Please DO NOT reproduce anything without my written permission. I may well say yes, but there are circumstances in which I may not wish for anything to be reproduced anyway. Kysharok, particularly, may not be reproduced. If you wish you spread it around, just use links. If you wish to post an intro or segment on your blog or website, please ask first. My inbox is always open.